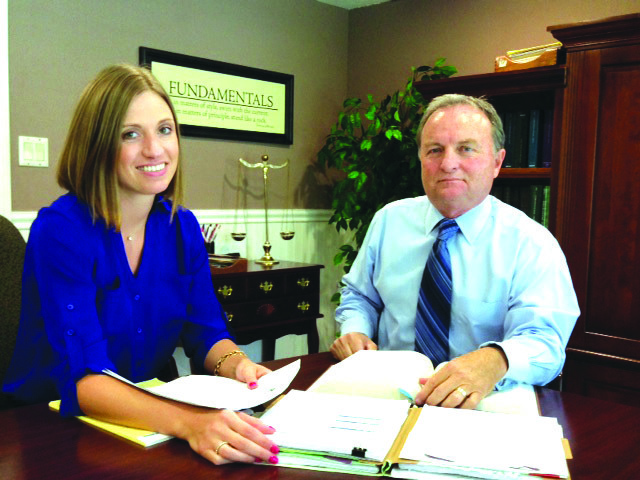 When Valrico resident Jerri Dean was in an automobile accident and found herself in need of an attorney, one firm stood out above the rest. She had spoken with other law firms about her case but after a brief conversation with the staff at Carman & Bevington, P.A. she knew that she had found the attorneys to represent her. “They were knowledgeable and professional but still down to earth,” said Dean. At Carman & Bevington, P.A., located at 223 Lithia Pinecrest Rd., attorneys Allen Carman and Vanessa Bevington personally collaborate on every case from start to finish. Before opening his own practice, Carman was a defense attorney for a major auto insurance company. His experience taught him how insurance companies function from the inside, making him a powerful ally to his clients. Bevington also has litigation experience and tenaciously works to protect her clients’ rights. She puts her litigation and negotiation skills to work for her clients whether at trial or in settlement. Carman & Bevington, P.A. handle a wide variety of cases, including personal injury, wrongful death, family law, divorce, paternity, child support and time-sharing parent plans. “We give individuals confidence that they can come here and speak to somebody without any pressure and in confidence,” said Bevington, whose focus is family law. Consultations are free and personal injury claims are handled on a contingency fee basis, meaning they take all the financial risk associated with your case. “Once you retain us we take the stress of your plate so you can focus on getting better,” said Carman. The law firm of Carman & Bevington, P.A. is open Monday – Friday 8 a.m. – 5 p.m., but in personal injury situations, they work evenings and weekends. “We can come to your home or hospital,” said Carman. For more information about Carman & Bevington, P.A. visit www.brandoninjury.com or call 654-3444.